City Springs was pleased to welcome State Senator Bill Ferguson on September 20, 2018. After attending the morning assembly, Senator Ferguson spent time talking to the students in Wyatt Oroke’s English language arts class. Senator Ferguson serves on the State’s Early Childhood Advisory Council. He particularly enjoyed his visit to the Early Learning Center, where he observed young scholars working hard on foundational skills. Senator Ferguson announced his visit to City Springs after middle school students took a trip to Annapolis last spring and toured the State House. During their visit, they were treated to a history of the state of Maryland. Students remarked on the lack of diversity among the “important” people in Maryland’s history. Specifically, they noted (with some frustration) how people of color were barely included, if at all. After returning to City Springs, they wrote letters to Senator Ferguson to express their concerns and offered suggestions on how to make the State House history tour more inclusive and welcoming for minority visitors. Senator Ferguson arrived at City Springs ready to discuss the letters. 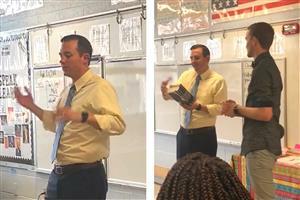 He thanked the students for the challenging yet respectful way in which they expressed their disappointment with the lack of diversity represented in the history tour and invited them back to Annapolis in the spring to see the changes that he has been working on. We appreciate Senator Ferguson taking time to come to City Springs and discuss the students' concerns. 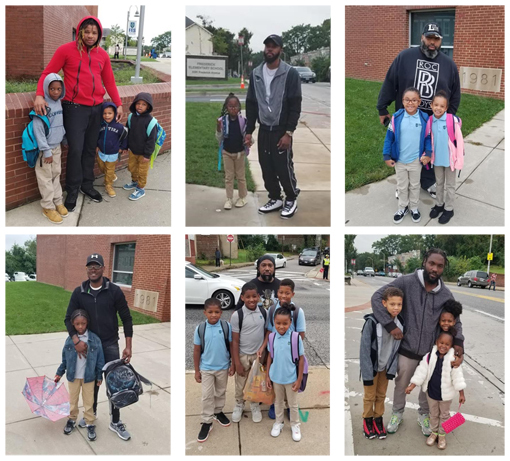 Over 53 fathers joined their children at Frederick Elementary for a "Donuts For Dads" event in honor of the Million Fathers March on September 28, 2018. The National Million Fathers March (MFM) is an opportunity for dads, uncles, grandfathers, coaches, mentors, clergy, men’s groups and organizations to show their commitment to the educational lives of their children throughout the school year by escorting children to school on this day. I will encourage all children to do their best every day at school. I have responsibility for the education of my child. I will volunteer at my child’s school this year. I will pick up my child’s progress report or grade report when required. I will meet with my child’s teachers at least two times this year and support them to educate my child. I will mentor my child or another young person who needs guidance. I will teach children the values of education and family as well as the value of life. I will work with my child’s mother or guardian to achieve the best academic and social outcomes for my child even if I do not live with my child. "It was very powerful and touching to see men come together as one to support their Scholars and the School Community," said Sabrina Wiggins, Bon Secours Community Works Community School Coordinator at Frederick. LET’S GO is piloting a new Computer Science program with fifth graders at Govans Elementary. Students are learning how to build circuits and program them using the Arduino computer language. Arduino is an open-source electronics platform based on easy-to-use hardware and software. Arduino boards are able to read inputs - light on a sensor, a finger on a button, or a Twitter message - and turn it into an output - activating a motor, turning on an LED, publishing something online. Students can tell the circuit board what to do by sending a set of instructions to the microcontroller on the board. LET'S GO partners with schools and youth organizations interested in offering STEM to their students and provides the materials, training, and support necessary to implement fun, hands-on STEM curricular activities. LET'S GO has supported the Govans After School Program -- part of BCP's 21st Century Community Learning Center at Govans -- since 2015. The first weeks of school have been very busy for all the nature explorers and scientists at Hampstead Hill Academy. The school garden is alive with baby monarch caterpillars, and the youngest explorers have enjoyed using magnifying glasses to look for the eggs and caterpillars. They have learned to carefully look on the milkweed plants for holes in the leaves which are indicators that the caterpillars have been munching. The older nature scientists have been learning about the life cycle of the monarch butterfly and have discovered the mystery of scientific phenomenon when we discuss the metamorphosis of the caterpillars into butterflies. Some of the 6th grade scholars wanted to get involved in Citizen Science, an organization that relies on average citizens to provide data on the monarchs, so they are raising three caterpillars in the classroom. Currently, two have formed their chrysalises and one is still growing, but should form its chrysalis sometime next week. Students hope to release the Monarch butterflies soon so they can begin their great migration to the mountains of Mexico! 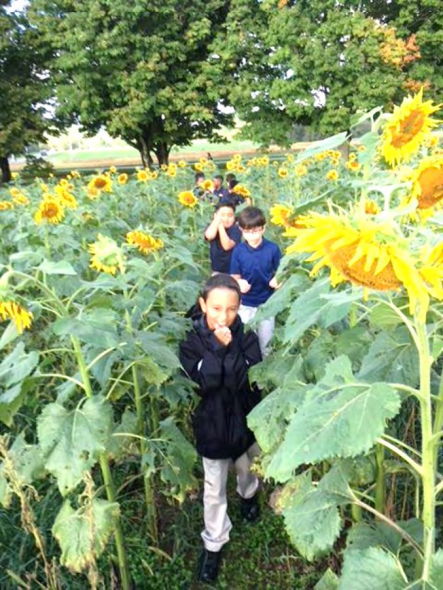 The 4th grade students had the opportunity to go on a field trip where they actually tagged and released monarch butterflies so their journey can be tracked by scientists all over the world. The "seniors" or 8th grade students have been instrumental in evaluating the health of the Patterson Pond Boat Lake, and the outlook is not good. All three classes have concluded that the dissolved oxygen levels are critically low and are amazed that the pond continues to appear to thrive with life. Letters will be written to the Mayor and to the director of Parks and Recreation to see what plans the City has to improve the health of the pond. 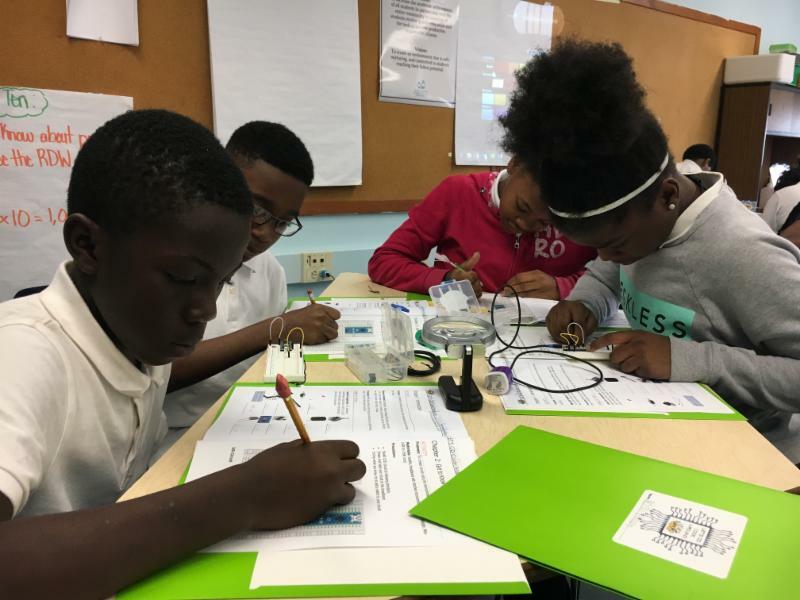 Ernst and Young's Baltimore office held their annual EY Connect Day at Wolfe Street Academy on October 5, 2018. EY also donated mulch, flower pots, mums, paint, weed-block fabric, and other supplies. 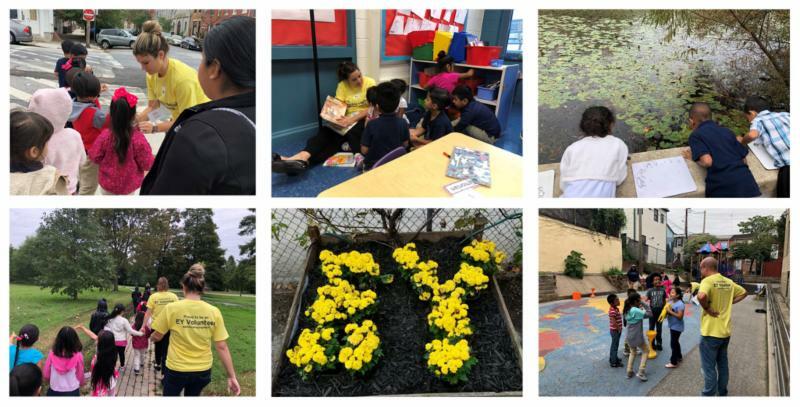 "On behalf of EY’s Baltimore office, I’d like to thank the Baltimore Curriculum Project and Wolfe Street Academy for opening its doors to our volunteers on our annual day of service, EY Connect Day," said Regan Lerner, Risk Advisory Staff, Ernst and Young. "At EY, community engagement is an integral part of our culture and we appreciate the opportunity to live our values by volunteering with you." "I believe I can speak for the whole EY volunteer team when I say we deeply admired the care and attention to which the Wolfe Street Academy faculty shows the local community. We've received very positive feedback from our volunteers about their experience, and we do hope to continue supporting you in the future." EY Connect Day is Ernst and Young's annual day of service. This dedicated day of volunteerism provides Ernst & Young LLP professionals the opportunity to spend the day giving back to classrooms, community centers, the environment and other non-profits. Twenty-two offices across the Northeast region participated in over 180 volunteer activities which resulted in almost 5,000 EY professionals dedicating over 25,000 hours of service to local charity organizations. "We at Wolfe Street are immensely grateful for all the EY Connect volunteers’ support and assistance," said Leah Beachley, SWCOS Community School Coordinator at Wolfe Street Academy. "The volunteers arrived at Wolfe Street with such positive energy and the students were absolutely thrilled to have them. Upon seeing the flower pots and painting activity, one of the WSA Pre-K students joyfully exclaimed, 'This is the best day ever!'" We at Wolfe Street could not agree more." "The teachers were so appreciative of all the volunteers’ hard work and several commented that the volunteer team helped them achieve tasks that they otherwise would not have been able to accomplish themselves. Overall, it was a fantastic day at WSA." Wolfe Street Academy and BCP would like to thank the following EY volunteers for participating in the EY Connect Day. Jon McGill: Ms. Yaropa, how did you decide to apply to Teach For America, and then come to Baltimore? Aziza Yaropa: I did a study abroad program in Chile and met other students who were applying to TFA, so I decided to do the same. I came to Baltimore because I knew other TFA people who were already working in the city. JM: Teach For America runs a five-week program to help prepare you for your new position. How did that go? JM: What was the path to Frederick Elementary and a BCP public conversion charter school? AZ: I started the interview process before going to the training. I went to a hiring fair for the district, met with some principals and went to two or three schools to interview. Then I was contacted by Principal Harold Henry and interviewed with him at FES. He made me feel that I really had to work hard in that interview to get the position! JM: What is it like at Frederick Elementary? AZ: “It’s going really well! Everyone has been friendly, genuine and sweet. The support is wonderful! AZ: Most of the time. They can get a little rowdy but they’re good! JM: What are your objectives for the year? AZ: I want to teach all of the content that I can to get the students to their full potential. I also want to make my classroom as safe and comfortable as I can. JM: This has been a rough day already-you had a minor car accident this morning? AZ: Yes, someone ran into me at a red light then drove off! But this interview has helped me forget that! JM: Good luck with the car and with the year ahead! Ms. Yaropa is one of several new staff at Frederick Elementary. Her classroom is well-decorated and inviting for both students and parents. 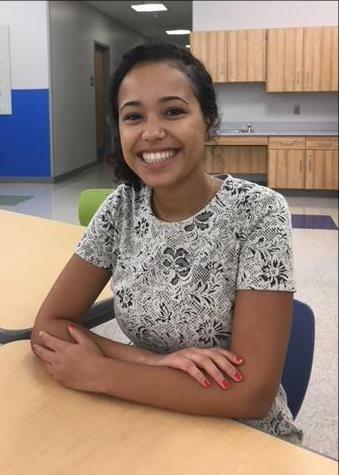 She has impressed already with her motivation, personality and determination as she works with her grade level team and with our outstanding instructional coaches to ensure that she and her children have a successful school year. BCP and Frederick welcome Ms. Yaropa and all other new staff in our five schools!